The best rewards and travel credit cards make it easy to earn cash back and other rewards, redeem miles for gift cards, free travel and more. By using your credit card for regular purchases, you can earn plenty of points — and potentially even a big signup bonus — with little to no effort on your part. But you can earn even more points and miles if you spend strategically and pair credit cards that let you make the most of your efforts. If your goal is racking up more rewards with multiple rewards credit cards, here’s everything you need to know about the best credit card combinations. The main advantage of pairing credit cards is the fact you can take advantage of bonus categories that vary. Remember that some cards may offer up to 6% back at grocery stores while others offer 4% or 5% back in different categories like office supply stores, dining out or phone and internet service. When you get more than one rewards card or travel credit card and use each one for its respective bonus categories, you’ll almost certainly earn more points and miles over time. Combining more than one rewards credit card also makes it easy to earn multiple signup bonuses and earn a lot of points in a hurry. Finally, the best credit card combinations let you make the most of any perks or consumer protections different cards let you qualify for. You could use a travel credit card that offers free trip cancellation/interruption insurance to book flights and hotels, for example. If you were buying a kitchen full of appliances or making another big purchase, on the other hand, you could opt to use a credit card that offers extended warranties or guaranteed returns. When it comes to the disadvantages of pairing credit cards, the main issue you’ll find is that it can be hard to keep track of everything — especially when you have more than two or three cards in your wallet. Maybe you’re short on time or don’t want to juggle multiple cards and keep track of their bonus categories. You may be better off with a single card that offers a flat rate of rewards on all purchases. If simplicity suits you best, credit card combinations could prove to be more taxing than rewarding. 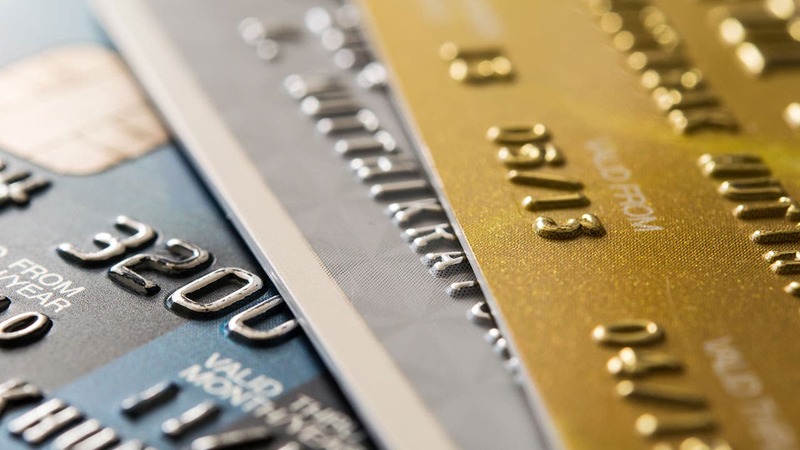 Which cards make up the best credit card combinations? At the end of the day, it really depends on which categories you spend the most in. If nearly all your spending is on groceries and gas, a credit card combination that lets you maximize those categories would be a clear winner. If you spend the most on travel and dining out, however, pairing credit cards that offer more points in those areas would leave you better off. Cards that offer rotating bonus categories: Rewards credit cards like the Discover it® Cash Back and Chase Freedom® let you earn 5% back on the first $1,500 spent in categories that rotate each quarter after activating (then 1%) as well as 1% back on all other purchases. If you’re able to max out each quarter’s bonus category but use other cards that let you earn more than 1% back for other purchases, you will earn more rewards over time. Cards that let you pool points in one account: Be aware that some programs like Chase Ultimate Rewards® let you pool points in the account that offers the best redemption options. If you had the Chase Freedom and Chase Sapphire Reserve®, for example, you could maximize each card’s bonus categories and then pool points in your Reserve account for 1:1 transfer to airlines and hotels or 50% more travel when booking through the Chase Ultimate Rewards portal. Rewards programs with personal and business credit cards: Keep in mind that some rewards programs offer personal and business credit cards that let you earn or pool rewards within a single account. Chase Ultimate Rewards and American Express Membership Rewards are popular options that offer this perk, although any hotel or airline program with business and personal rewards cards will also work. Cards with exceptional bonus categories that align with where you spend the most: If you spend a lot of money in a specific category — say, groceries or dining out — don’t forget to pick a card that lets you take advantage of your spending. The Blue Cash Preferred® Card from American Express would be a good option to maximize food spending since you earn 6% back on up to $6,000 at U.S. supermarkets each year (then 1%). Meanwhile, the best credit cards for dining out like the Capital One® Savor® Cash Rewards Credit Card and the Uber Visa Card give you 4% back on dining purchases in addition to other bonus categories. What are the most popular card combinations? While the Chase Freedom lets you earn 5% cash back on up to $1,500 spent in categories that rotate each quarter (then 1%), the Chase Sapphire Reserve lets you earn 3x points on travel and dining and 1% back on all other purchases. The Chase Sapphire Reserve also grants you superior travel benefits like a Priority Pass Select membership, Global Entry or TSA PreCheck credit, and a $300 annual travel credit. By having both cards in your wallet, you can score elite travel perks and earn more points over time. Frequent travelers who own a small business should consider pairing the Chase Sapphire Reserve® with the Ink Business Preferred Credit Card. You’ll get superior travel benefits from the Chase Sapphire Reserve, yet the Ink Business Preferred Credit Card offers 3x points on the first $150,000 you spend annually in combined purchases on travel, shipping purchases, internet, cable and phone services, and on select social media and search engine advertising (then 1%). Remember that Chase lets you pool all your points in a single account, so you could transfer all your rewards to your Reserve account to get a better redemption rate for travel through the Chase Ultimate Rewards portal that way. While the Platinum Card from American Express does charge a $550 annual fee, you get excellent travel perks like airport lounge access, up to $200 annual airline credit, up to $200 in Uber credits each year, a Global Entry or TSA PreCheck credit and more. You also earn 5 Membership Rewards Points for every dollar spent on flights booked with airlines or with American Express travel and 5 Membership Rewards Points for every dollar spent on eligible hotels booked through AmexTravel.com. Pair it with the Blue Business Plus Credit Card from American Express, which offers 2 points per dollar spent on up to $50,000 in purchases each year (then 1 point per $1 spent) with no annual fee. The benefits of pairing credit cards are hard to deny, but you have to remember this strategy isn’t for everyone. If juggling multiple cards and payments leaves you struggling to keep up or more prone to racking up debt, you’ll be better off with just one card in the end. Also keep in mind that there may be a temporary impact on your credit score if you apply for too many new credit cards at once. You may also see a boost in your score if you get a new line of credit and thus decrease your overall utilization, however, so it could be a wash. The benefits of the best credit card combinations can definitely outweigh the negatives, but it’s up to you to consider the pros and cons and make the most of your situation.